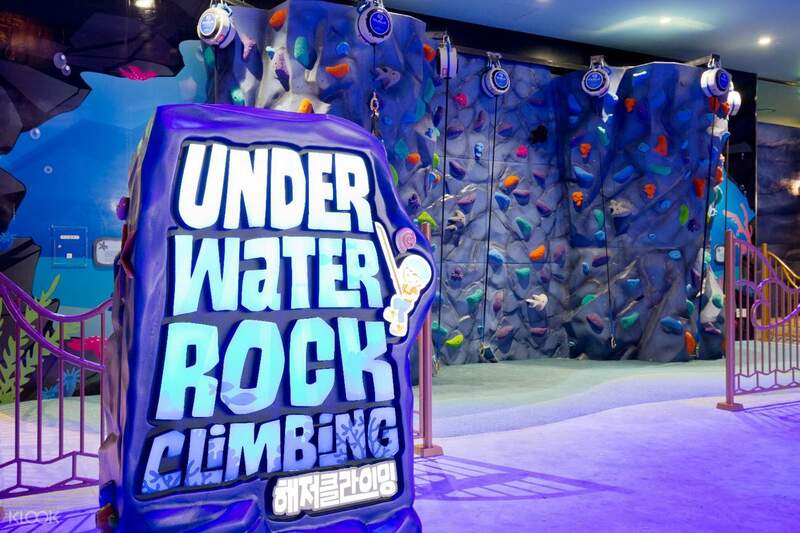 Lotte World, one of South Korea's most famous theme parks, welcomes its guests to an incredible underwater adventure with the Undersea Kingdom Theme Park! 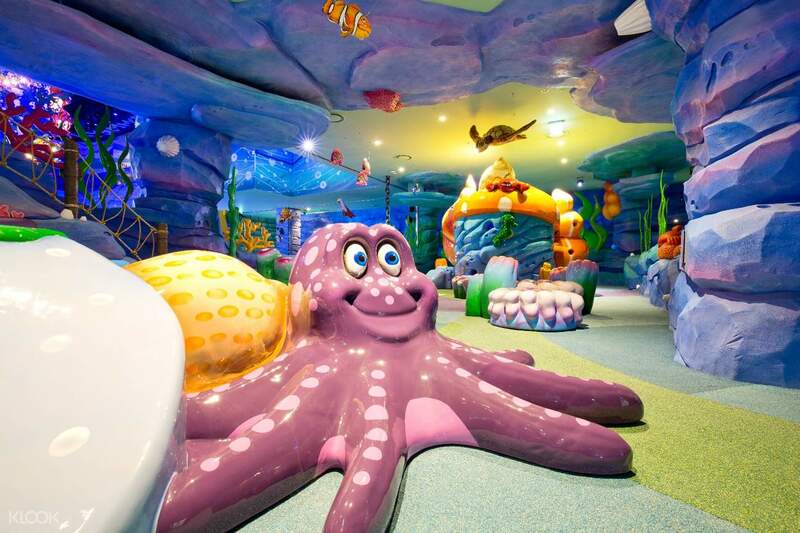 Bring the kids to an amazing ocean world of fantasy and adventure, with thrilling attractions and play zones to have fun in and explore! Learn of the story of the Guardian Pearl, defender of the Undersea Kingdom, as she fights evil Captain Galleon and tries to protect the peace of the magical kingdom. Join her in an adventure you'll never forget, and enjoy the attractions such as Coral Village, Bumper Fish, Dolphin Spin, and the Mer-King's Carousel! Tired and hungry from your undersea adventures? Head to the Mer-King's Royal Garden to enjoy a delicious meal in the ocean-themed restaurant. Don't forget to drop by the Whale Gift Shop to take home souvenirs of your amazing ocean adventure. 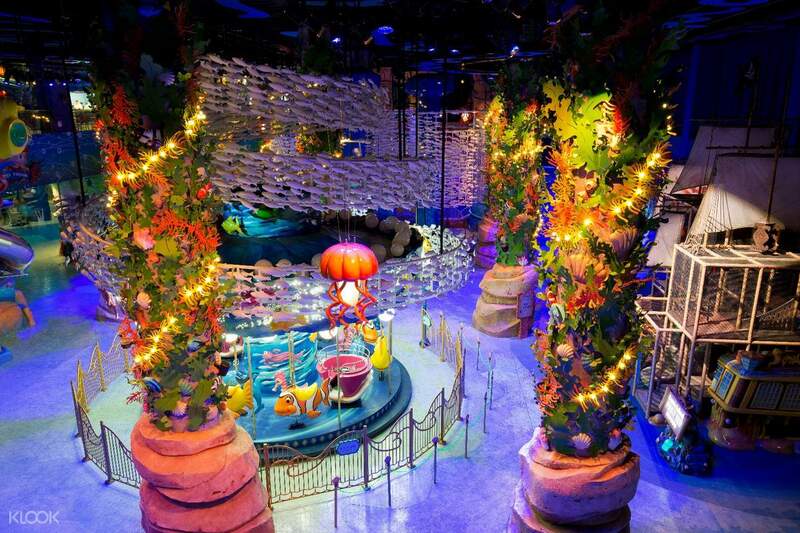 Enter an incredible Undersea Kingdom in Lotte World! Enjoy attractions the kids will surely love! 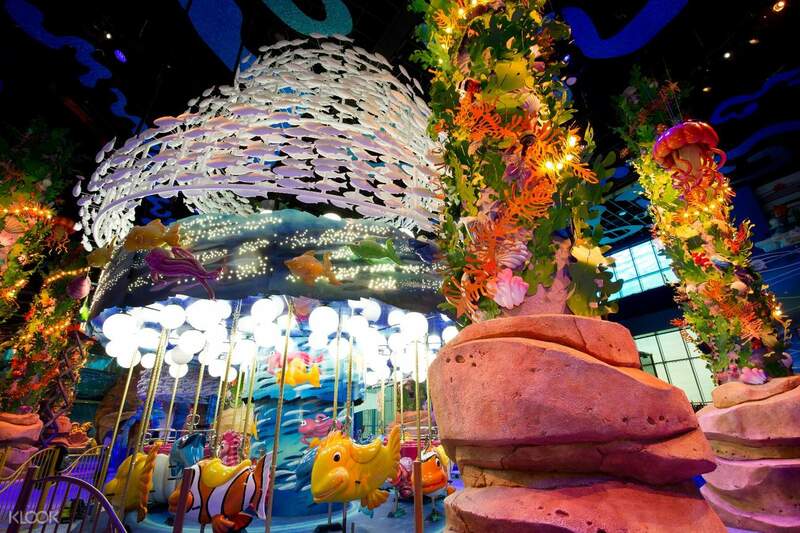 Spend the day filled with fun adventure for kids, and kids of all ages! We didn’t do much homework to check on the location. It was quite far away from the town area. We traveling a little before finding the place. Kids park was quite small. Not really recommended. We didn’t do much homework to check on the location. It was quite far away from the town area. We traveling a little before finding the place. Kids park was quite small. Not really recommended. I brought 2 kids, 5 and 2 there. The 5 years old played like crazy. Not many people during the weekdays and she played nearly 10 times the pirate ship, a few times the bumping cars, climbing the wall, carousel and other games. She really enjoyed it. 2 years old also got something to play but less crazy than the elder girls. Will recommend the place esp for 3-6. I brought 2 kids, 5 and 2 there. The 5 years old played like crazy. Not many people during the weekdays and she played nearly 10 times the pirate ship, a few times the bumping cars, climbing the wall, carousel and other games. She really enjoyed it. 2 years old also got something to play but less crazy than the elder girls. Will recommend the place esp for 3-6. This place is heaven for kids and my son enjoyed it.. This place is heaven for kids and my son enjoyed it.. Even thought is a very small Indoor theme park but my child love it so much . We spent a good 3 hours there and she didn’t want to leave . The interactive aquarium is the best part of all. Color the fishes and scanned. It will appear in the big aquarium.Suitable for children below 7. We enjoyed it too. The food in the cafe is nice as well. Is inside a big shopping small and we were spoilt for choices . Very well equip with children facilities. Even thought is a very small Indoor theme park but my child love it so much . We spent a good 3 hours there and she didn’t want to leave . The interactive aquarium is the best part of all. Color the fishes and scanned. It will appear in the big aquarium.Suitable for children below 7. We enjoyed it too. The food in the cafe is nice as well. Is inside a big shopping small and we were spoilt for choices . Very well equip with children facilities. Great place for kids and they totally enjoyed their time there. It is an indoor theme park and the kids didn’t have to suffer the cold winter. It was a highlight of the trip for the kids. Great place for kids and they totally enjoyed their time there. It is an indoor theme park and the kids didn’t have to suffer the cold winter. It was a highlight of the trip for the kids. My daughter love this place so much. We spend whole day here, any activities for kid inside. My daughter love this place so much. We spend whole day here, any activities for kid inside. This is a fun place for kids. Just that the restaurants have very limited choices of food and very expensive. This is a fun place for kids. Just that the restaurants have very limited choices of food and very expensive. Spent 5 hours inside with kids aged 6 and 8. It’s not too big but kids enjoyed it very much for its their first visit. Spent 5 hours inside with kids aged 6 and 8. It’s not too big but kids enjoyed it very much for its their first visit.